SLIDE is a story of creating an icon and tackling every challenge along the way to explore a new form of motion. 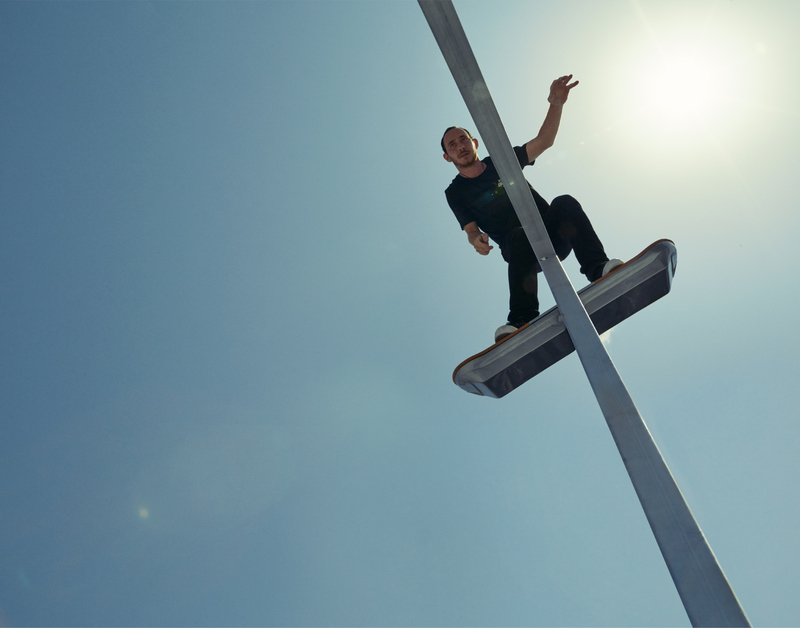 Every part of SLIDE required masters of design, technology and skateboarding to re-imagine their craft. The stories that came from this journey are as awe-inspiring as the final experience. 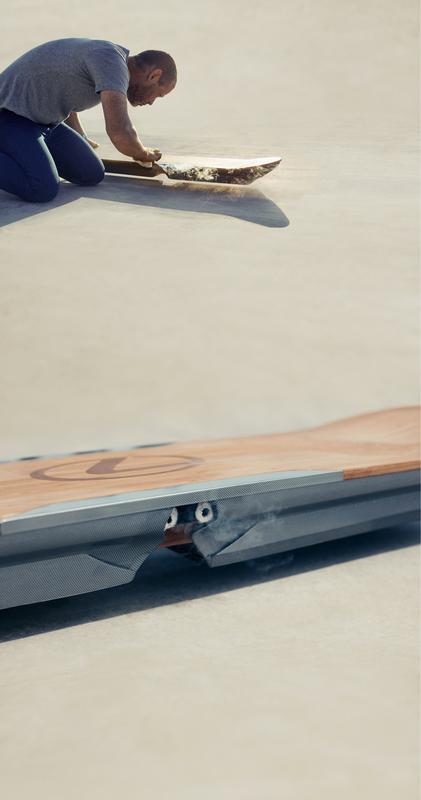 The hoverboard is constructed from an insulated core, containing HTSLs (high temperature superconducting blocks). These are housed in cryostats - reservoirs of liquid nitrogen that cool the superconductors to -197°C. The board is then placed above a track containing permanent magnets. When the board is cooled to its operating temperature the track’s magnetic flux lines are ‘pinned’ into place, maintaining the hover height of the board. It took months of testing to transform maglev technology into a refined track and board. 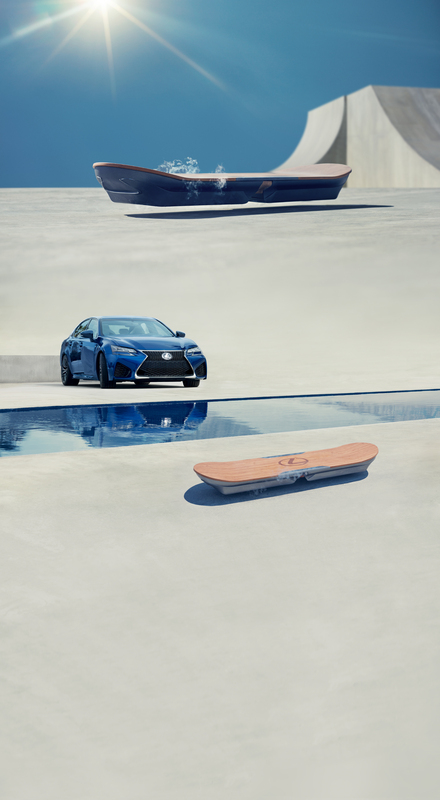 From building a new track, to figuring out the perfect amount of lift, to our hoverboarder testing days on end to get the Lexus Hoverboard ready to ride. 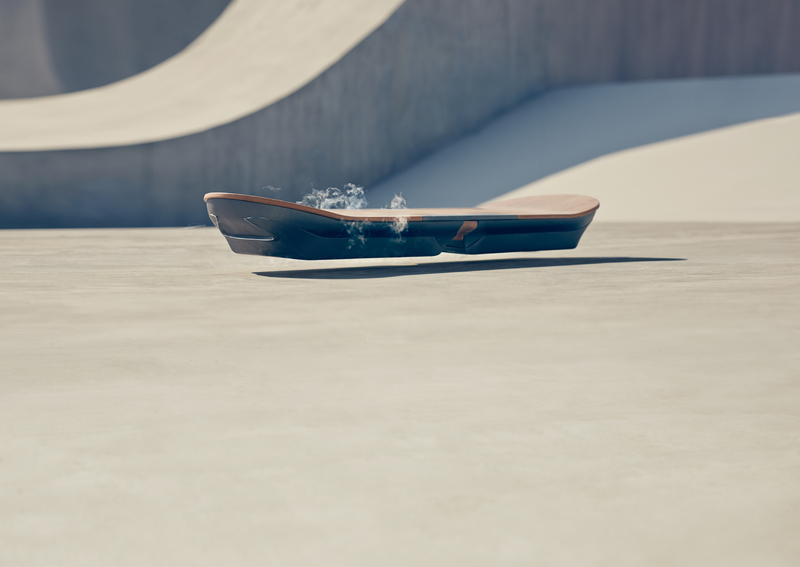 Aside from fitting big technology into a very small package, wrapped in a design that is uniquely Lexus, the Hoverboard features the iconic Lexus spindle grille signature shape and uses materials found across the Lexus brand, from the high tech to natural bamboo. The balance between a traditional skate park and one that empowers the best ride for the hoverboard required going back to the drawing board. Every part of SLIDE required masters of design, technology and skating to re-imagine their craft. The stories that came from this journey are as awe-inspiring as the final experience.